Quality materials and design translate into a durable, stable, and attractive work surface for junior artists that will last for years. 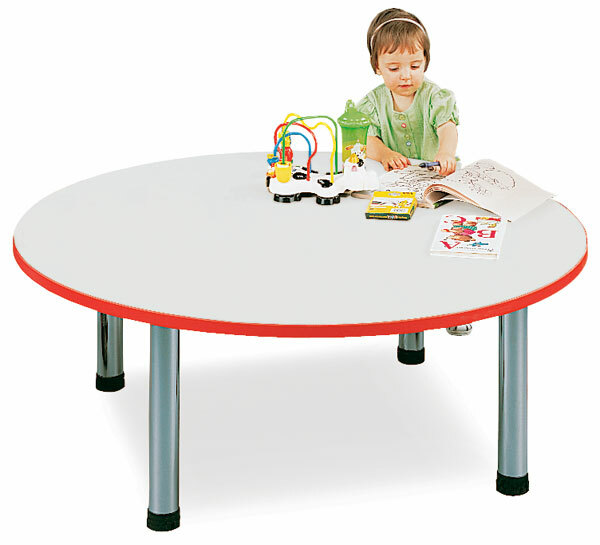 Tot Mate stain-resistant laminate surfaces make cleanup easy. The wide position of the legs creates a stable base. 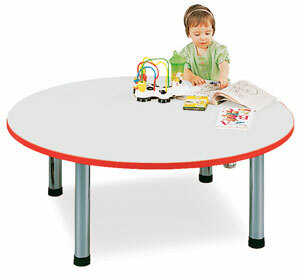 This table will seat up to six youngsters. It measures 24" D × 48" W.